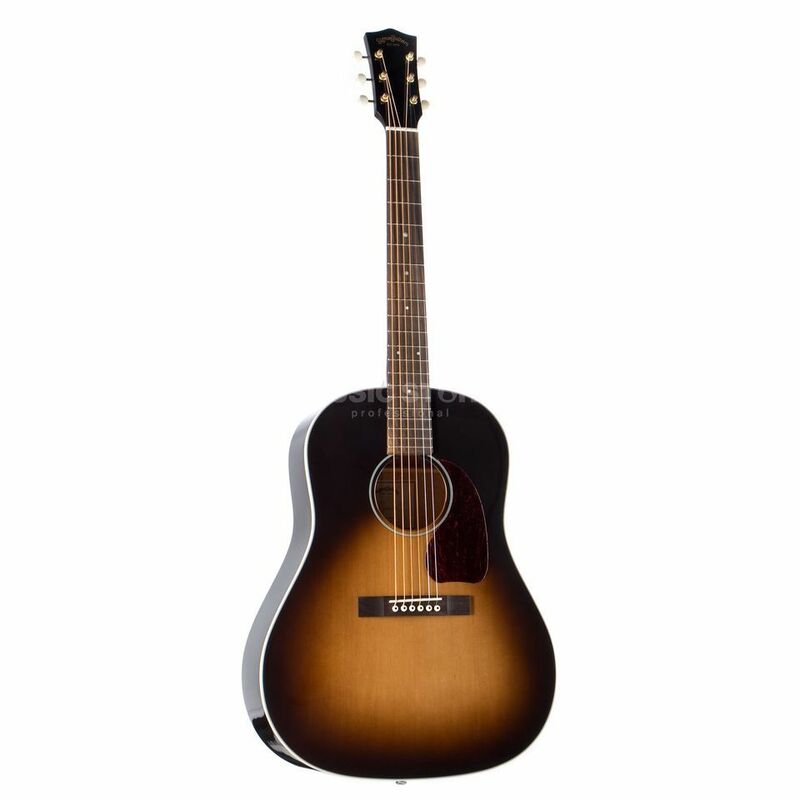 The Sigma JM-SG45 Electro Acoustic Guitar Sunburst is a 6-string electro acoustic guitar featuring a spruce top, a mahogany back, sides and neck, a rosewood fretboard and a sunburst finish. The LM-SG45 is an authentic dreadnought guitar that convinces through a powerful sound. The strong dynamic tone of this guitar is produced due to a construction from solid Sitka spruce on the top and laminated mahogany on the body. The combination of these woods creates a dynamic sound and lively response that enable powerful basses, harmonious mids and bright highs. The Sigma JM-SG45 is equipped with the Fishman Sonitone pickup system that convinces with natural warmth and organic dynamics. A classic sunburst finish combines with vintage tuners and a white binding to deliver a noble appearance.